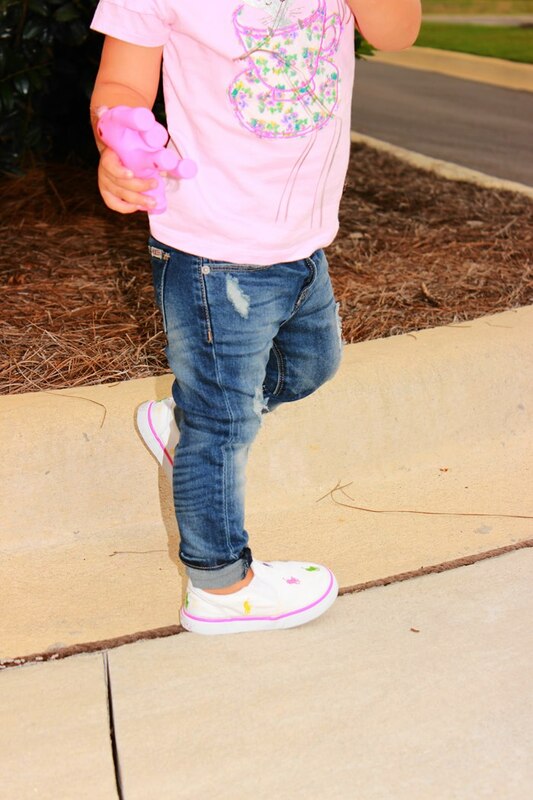 The perfect pair of distressed skinnies for your child! Hey everyone! 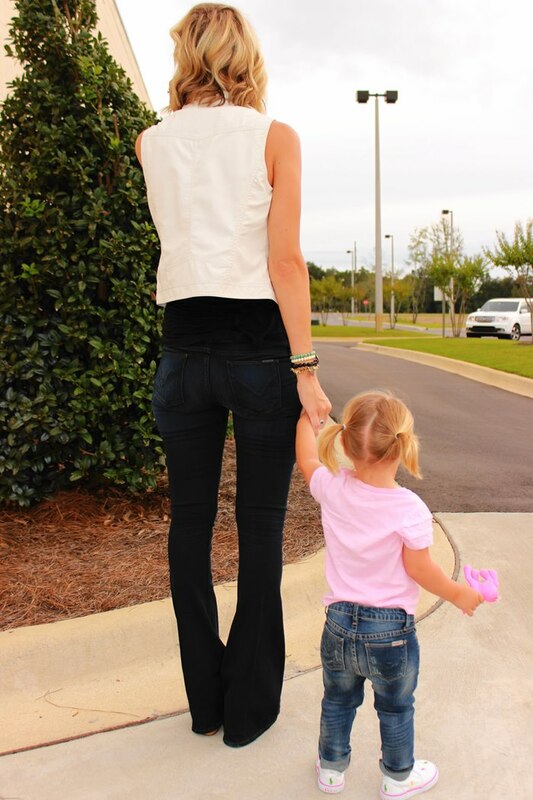 Jen here, Courtney’s mama, and we’re back with another kids denim review for ya! This time we’re reviewing the “Dolly” Distressed Skinny Jeans in Denim Blue by the brand Hudson. This is Court’s first pair of Hudson denim and I have to say it might be my fave pair of denim she’s reviewed thus far. I’m a big fan of Hudson denim, so I was excited to get Courtney in a pair. I am such a sucker for distressed jeans and the distressing on this pair was just right for a toddler. It wasn’t over the top with big holes, which can be borderline inappropriate for a little one. The minor distressing on this pair of skinny jeans was just enough to give Court that on-trend, edgy look. The “Dolly” skinny is a slim fit, five pocket jean with a zip fly with a snap button closure. The interior of the waist has a hidden adjustable strap, which I loved. This helps to ensure for the perfect fit and helps to eliminate sag (which can happen quite frequently in children’s denim). The denim is comprised of 98% cotton and 2% elastane, giving it the perfect amount of stretch. The wash is called “Denim Blue” and I would say it’s a true blue wash. It isn’t too light, and definitely not dark enough to be a medium blue or dark blue wash. There is fading all over the jean, from the top (front and back) down the legs. 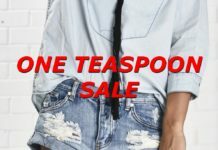 There is also whiskering by the front pockets and at the ankles. The inseam is approximately 20 1/2 inches long. I chose to roll the ankles up on Courtney because they were slightly long and I prefer the look of a rolled ankle (especially on a child). Courtney is 21 months and weighs about 32 lbs. She’s wearing a size 3T in these jeans, which is her typical size right now in most bottoms, dresses, and bathing suits. She’s quite tall and big for her age (must be her tall mommy and daddy — haha). I found the 3T to fit her perfectly. The jeans were not hard to slip on her. 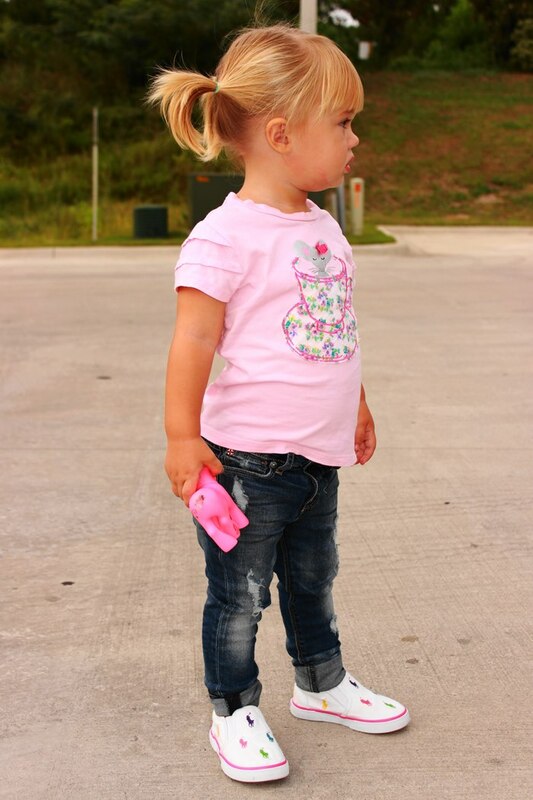 Skinny jeans aren’t the easiest to slip on, especially for a toddler, and these really weren’t bad at all. I often worry about skinny jeans being too tight or uncomfortable for her, but this pair had great stretch and really didn’t constrict her from sitting or running around. We went out to dinner and to a football game after these shots were taken, and she was comfortable all night. Overall I would have to say that I really love these Hudson Kids “Dolly” Distressed Skinny Jeans in Denim Blue. I wish they had them in adult sizes because I think they are the perfect distressed skinny jean. We received a load of compliments when Courtney wore these, so I know they were a fave all around. We’re looking forward to trying out some more Hudson denim. Stay tuned for Court’s other reviews coming soon! P.S. You can check out Courtney’s previous denim reviews HERE!